Non-profit films may be the perfect testing ground for new techniques. As an action-oriented medium, it’s one of the most record- and data-driven forms of filmmaking. Beyond views, organizations need to see return on investment — it’s the entire reason they exist. So, there’s a testable result for every new implementation. Did people react differently? Did they donate? Did the storytelling tactic work? These are all questions Lindsay Branham is asking. Not only as a director and founder of film production studio NOVO, but also as a social scientist — she just received her masters degree from the University of Cambridge. She’s diving deep into the effects and results of VR filmmaking, particularly in the realm of human rights issues and violent conflict. “There are so many big statements around VR: ‘It’s the empathy machine.’ Is it really unique in that way? That’s why I chose this medium for my research. I wanted to find out for myself,” Lindsay told us. 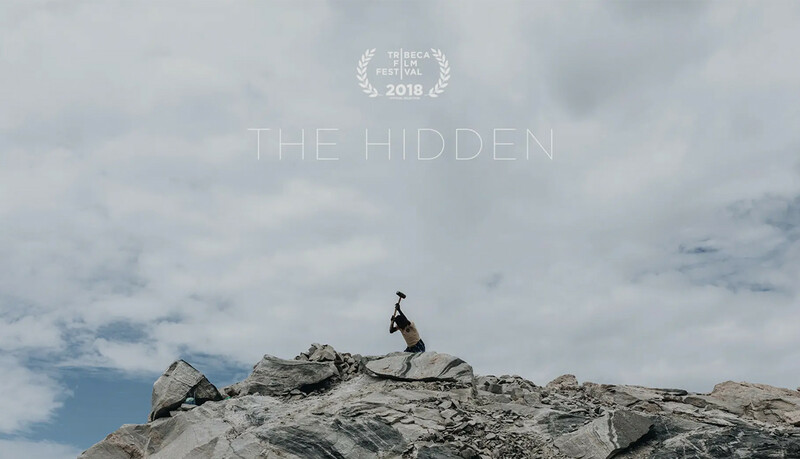 And that’s exactly what she did in The Hidden, a Tribeca-selected VR documentary that puts viewers in the passenger seat as the International Justice Mission seeks to rescue an Indian family from slavery. It’s an incredible film — and, more importantly, a film that goes beyond what Lindsay calls “the novelty factor.” It tells a real, compelling story. Learn how she tackled the production and hear her expert opinion on where VR is taking the film world. 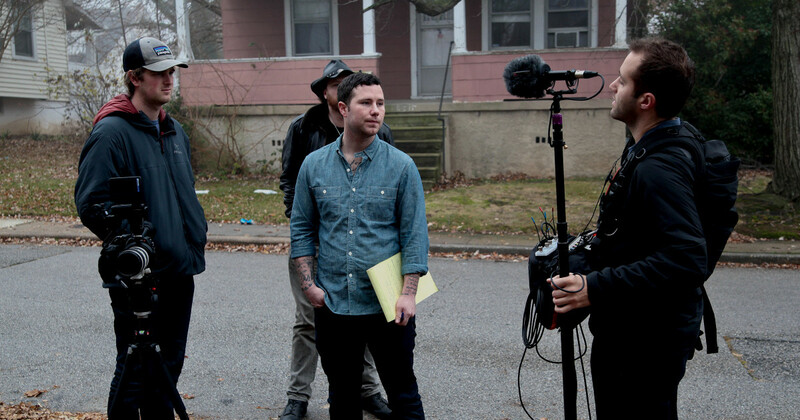 Musicbed: How did you find your way into non-profit filmmaking? 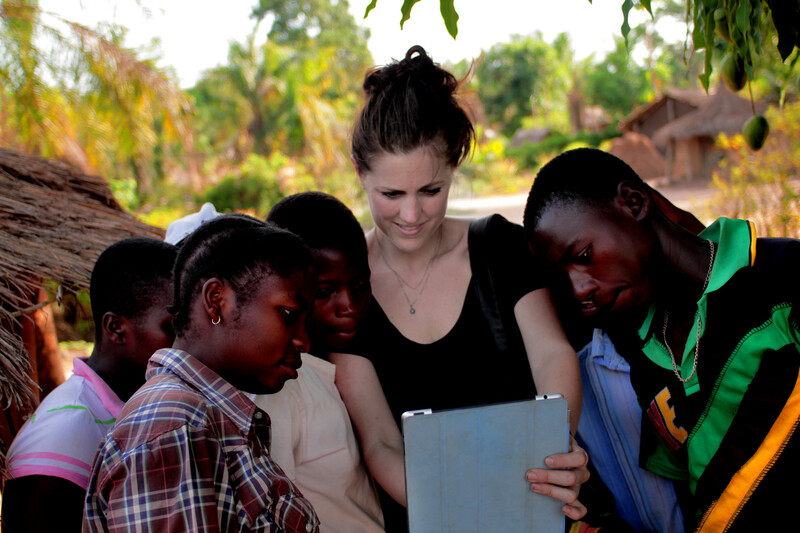 Lindsay Branham: I got my first job with a human-rights nonprofit in the Congo as a staff writer and photographer. It was perfect because it allowed me to spend a year and a half learning, studying, and being a listener. I was able to go all over the East and try to begin unraveling the complexities of the conflict and how people were suffering — it’s the deadliest war since World War II. As a storyteller and filmmaker, I also started doing some freelance reporting for CNN covering the war in the Congo, spending time with people who’d been recently displaced. There was a genocidal-level attack on a village called Kiwanja and I was there just about 24 hours after it happened. I had to meet with this group of survivors in a secret location and I was asking questions about what they had survived, believing that if I shared their stories with the world, action would follow. Here I was asking them to bare their souls, and began doubting if help would really circle back to the people in front of me. My role as this white-woman intermediary in the Congo started feeling unjustifiable. There’s been such a legacy of exploitation by foreigners in the Congo, from minerals to land, and, I believe, even of people’s stories. I started wondering if there were other ways to use storytelling that could work with the communities and in the communities, not to be yet another extraction. I saw an NGO called Search for Common Ground first use a technique called Mobile Cinema, and I was immediately obsessed. 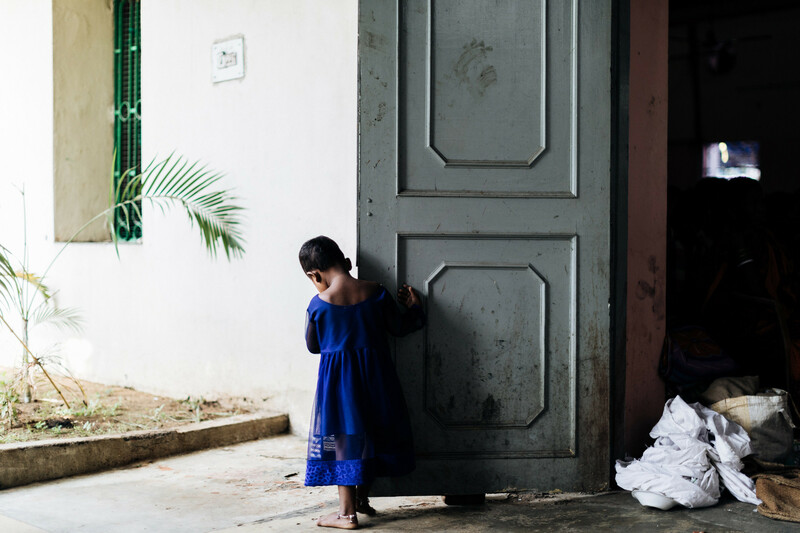 That’s why I started NOVO, which is centered around working and collaborating with people in areas of violence and human rights abuse — to create films that are used in those communities to help address the issues that are most important to them. Full-circle storytelling. You’re trained in social science, correct? How does that affect your filmmaking? I just finished my masters in social psychology at Cambridge. I’m thinking really carefully about how images affect psychological process, how human beings make the decisions that they make. What motivates behavior? There are decades of research behind this, so I’m excited about applying it to the arena of storytelling. Bridging art and science in that way. Do people behave differently after watching VR films? There is research to suggest that people who watch a story in VR versus 2D are more likely to take action afterwards. From the humanitarian standpoint, that’s very exciting, but I don’t know if it’s the novelty factor. This is a new technology and people haven’t seen that many experiences in VR. But, there is something really true of the presence it demands of a viewer. You’re in that world. The headset is literally all over your head. You can’t look away or look at your phone. You can’t be distracted. Regarding empathy, more research needs to be done comparing VR experiences to traditional 2D films. Without a good story, the medium doesn’t really matter. Did you feel like The Hidden was well-suited for VR? We had done a “normal” film with the International Justice Mission (IJM) called A Deep Place, about child slavery on Lake Volta. 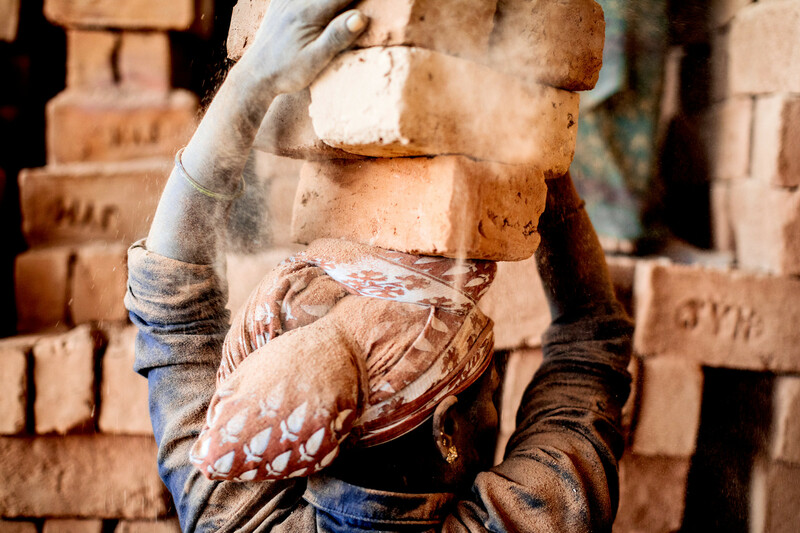 Oculus VR for Good had an application for a fellowship where they pair you with a nonprofit and I conspired with the creative director at IJM to make it happen. Oculus is so supportive and they gave us complete liberty to make whatever we wanted to make. I felt strongly about using VR because it is such a uniquely present medium. For that same reason, we also decided that the film should be a documentary, to take the viewer on an actual rescue. How did you pull it off? That seems like a logistical nightmare. We were extremely lucky for a number of reasons. We had no idea if it was going to work out or not, because the government went on strike and there were no operations running. But, after a few days of being there, the strike lifted. There were just so many unknowns. 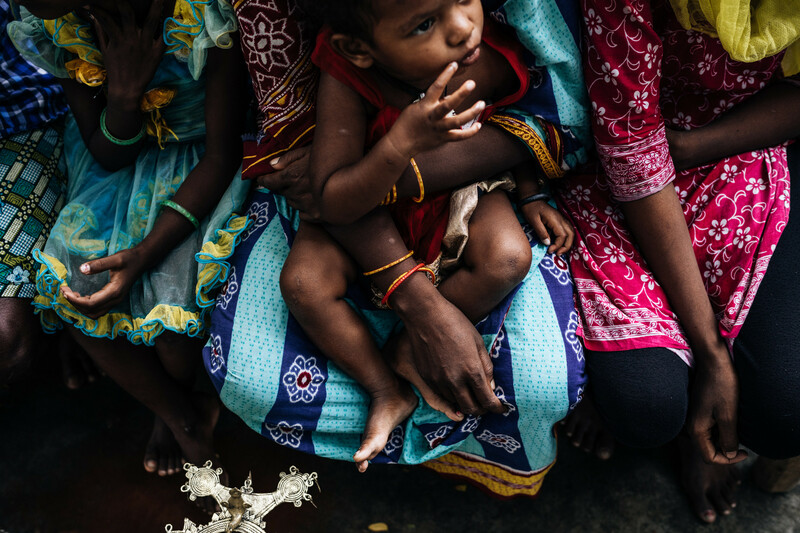 How IJM works is they collect evidence about cases of slavery and present it to law enforcement officials, then the Indian government carries out the operation. But, you just never know if people will take action or when they will take action. We didn’t know until it was underway. Obviously, we didn’t want to hinder the operation, so I found two talented Indian filmmakers — a sound operator and a director of photography. They were our production team during the actual rescue, running the camera. They put on business attire to blend in with the IJM lawyer team and they captured the rescue in real time. Were you on-location for the shoot? I was there, but in a vehicle a few kilometers down the road. I was tense for about ten hours [laughs]. We didn’t know what was happening while it was happening; if it was successful, if the owner of the rock quarry had rallied his buddies to create a mob — which happens a lot — or if the family had been manipulated to refuse to go with law enforcement. There’s so much that can go wrong during such a sensitive operation. We were just hoping and waiting, and so stressed out. From a human-being perspective, I was hoping that the family would be freed. From a director’s perspective, I was worried that the camera wouldn’t work properly, or that my team wouldn’t put it in the right place. There were all of these technical concerns and storytelling concerns happening at the same time. But, it was an amazing feeling to be there. 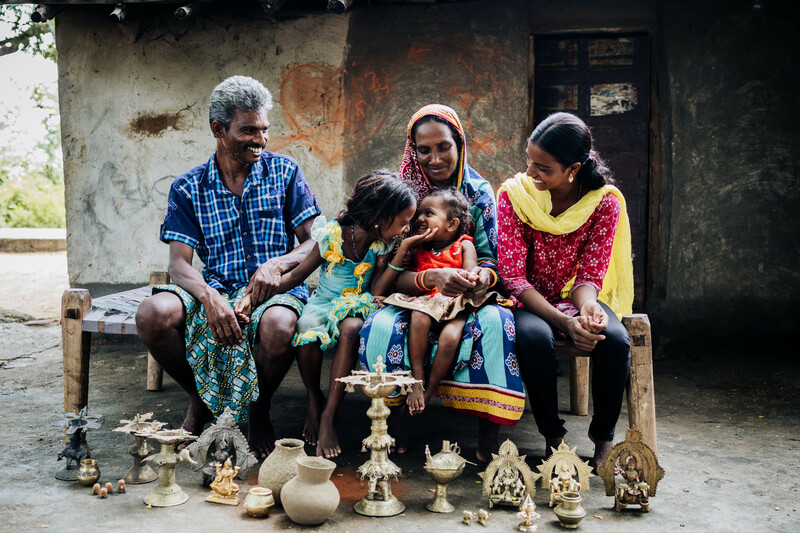 Seeing the IJM team and the Indian officials work with so much care and persistence to get this family out is something I’ll never forget. The family had been there for ten years. They had no idea they would be freed that day. They woke up, just like any other day, working in this rock quarry not getting paid, fearing for their children’s lives. Now they are being taken to freedom. Was the story-planning process different than a traditional film? It was extremely different. Instead of thinking in a linear way of how you’ll guide someone shot by shot through a narrative, you’re thinking about what type of experience you can offer someone, knowing each person’s experience will be slightly different, because you can’t predict where they’ll look. But, you still need to bring a narrative sense to a VR story, have a character that you develop, have an arc, dramatic tension, and all the things you think about with any other story. Would you recommend VR for other nonprofits? I would suggest that they really think about the intended use for it, because it’s still not easy to widely distribute a VR film. So, if you’re a nonprofit, and you have a limited communications budget and you have the chance to make one video a year, I probably wouldn’t recommend VR unless you have a strong distribution rollout plan for it. On the other hand, there’s the Nexus Fund, who funded our first VR film, the Emmy-nominated Behind The Fence which documents the genocide of the Rohingya Muslim minority in Myanmar. They planned small fundraising events across the country with VR in mind. They brought headsets to those events and it was really effective for them because they were able to talk with people afterwards and explain the issue further. I think it's really important to think through your distribution before embarking on a VR project, to understand if it justifies the investment. Where do you think the format will go? It’s more advanced than it’s ever been before, and this is the first time consumers have access to it in such a large way. There are a lot of interesting funding opportunities in this medium, too. I’m most interested in it from a psychological perspective, because the nature of the technology interacts with people in such a different way. I’m most excited about interactive opportunities in the medium and giving the viewer the power to make decisions and influence the story. I think the jury is still out on what it will really do or how it will take form. As an artist, I don’t know. There are so many big statements around VR: “It’s the empathy machine.” Is it really unique in that way? That’s why I chose this medium for my research. I wanted to find out for myself. There have been some unique challenges in it. But, honestly, I think it’s worth facing new challenges as a creative. I’m glad I have.